We welcome new business partners - let's work together! 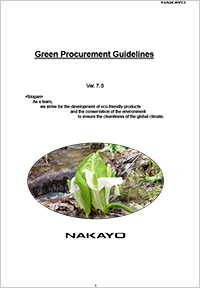 We promote Green purchasing for peace and social infrastructure. Please cooperate with the following investigation. Copyrightc 1996-2018. Nakayo, Inc. All rights Reserved.